The race for the 2018 Ballon d’Or is on. As expected, the usual suspects like Cristiano and Lionel Messi are once again present and will be gunning for the prestigious individual award. The superstar duo are part of a 30-man nominees list released in series by France Football on Monday. With Ronaldo and Messi already winning the award five-time apiece, the world will be looking to see a new face usurp the Juventus and Barcelona duo. Luka Modric has already broken that duopoly in the FIFA Best Football Awards, but the Croat is over 30 years and may likely not even mount the podium next year. The baton, therefore, falls to the next generation of superstars, which includes the likes of Eden Hazard, Neymar and Kylian Mbappe. The trio is surely talented but if there’s anyone who has recently shown the desire to win the Ballon d’Or, it is Hazard. The Chelsea winger has started the season in impressive fashion, but he is still a long way from becoming Ballon d’Or material. Below are three key things that Hazard needs to do if he is to win the Ballon d’Or in the near future. 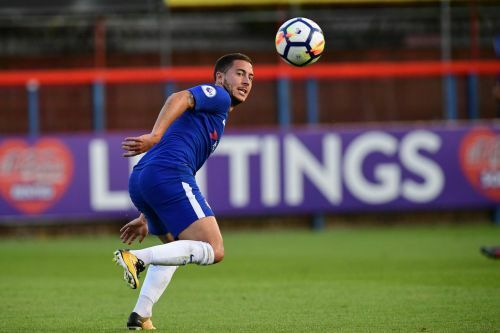 Eden Hazard is undoubtedly one of the best players in the world currently, however, one deficiency in his game is the inability to record high numbers in terms of goals. But to win the Ballon d’Or, he needs to start getting on the scoresheet more regularly. Thankfully, he has started this season in lethal form and is topping the Premier League scoring charts with seven goals. Hazard is more of a player in the mold of Lionel Messi than Cristiano Ronaldo. The Belgian has all-round abilities and has what it takes, not only to score, but also to create. In recent times, the Ballon d’Or has tended to favor players who have high numbers in terms of goals and assists. You can argue that Luka Modric won this year’s FIFA Best Player award over Ronaldo and Messi, but that was only because it was a World Cup year. Nine out of 10 times, the most influential attacker gets to win it. 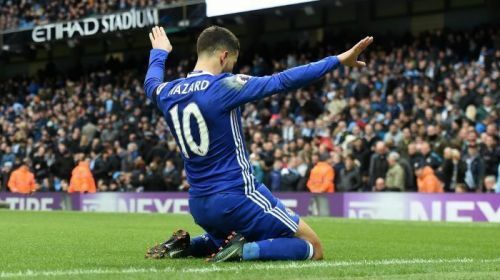 Therefore, if Hazard can continue with his current goal-scoring form – and score between 30 to 40 goals per season – then he could be getting nearer to being crowned as a Ballon d’Or winner in the near future.